David T. Bourgeois, Ministry in the Digital Age: Strategies and Best Practices for a Post-Website World (Downers Grove, IL: IVP Books, 2013). $15.00, 144 pages. The purpose of Ministry in the Digital Age is “to provide churches and ministries with the guidance they need to successfully embrace and use digital technologies as means to fulfill their mission” (8). 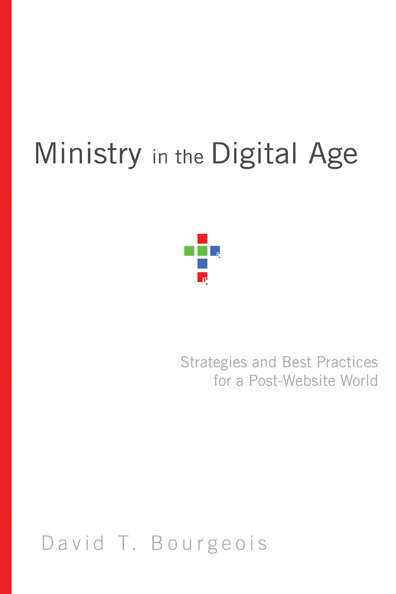 The book identifies three elements of a “digital ministry framework”: technology, people, and process (chapter 4). Too often, churches and ministries make decisions about what digital platforms to use before they take into account who will use them or how their digital ministry will be developed, implemented, and sustained. Chapters 5 and 6 outline a 13-step process for addressing precisely those issues. Because it is short and practical, Ministry in the Digital Age will help your church or ministry quickly begin to match digital means to spiritual ends. 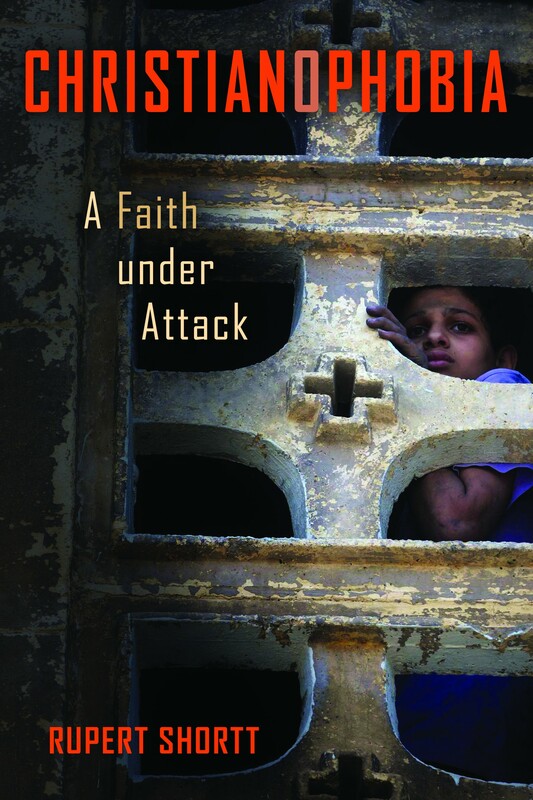 Rupert Shortt, Christianophobia: A Faith Under Attack (Grand Rapids, MI: Eerdmans, 2012). $26.00, 328 pages. Christianophobia is the story of “a faith under attack,” in the lapidary words of the book’s subtitle. Around the world, but especially in Muslim-majority countries, Christians are persecuted for their faith by agents of the state, by lawless mobs, and sometimes by the former in collusion with the latter. Some of the persecution may be blowback for the post-9/11 American invasion of Iraq and Afghanistan, but not all of it. As Rupert Shortt writes: “Looking beyond Iraq and Afghanistan, and on a time frame stretching well back before 11 September 2001, we can see innumerable Christian communities on the defensive against rampant forms of intolerance, both religious and secular. The problem has worsened dramatically since the turn of the millennium: about 200 million Christians are now under threat, more than any other faith group” (ix). Rather than detailing the problem of Christianophobia with abstract statistics, Shortt sketches it with concrete anecdotes drawn from 19 countries. He devotes a chapter each to persecution of Christians in Egypt, Iraq, Iran, Pakistan, Turkey, Nigeria, Indonesia, India, Burma, China, Vietnam and North Korea, and Israel. A final chapter quickly examines Cuba, Venezuela, Belarus, Sri Lanka, Laos, and Sudan. The sources of Christianophobia are numerous. The sources can be religious, such as in some Muslim-majority countries, which have a tradition of both jihad and dhimmitude. (This point should be carefully qualified and not overstated, however, since some Muslim-majority countries tolerate religious minorities.) The sources can be ethno-religious, where one’s nationality or caste is tied to a particular religion. In India and Burma, for example, radicalized Hinduism and Buddhism, respectively, drive a nationalistic reaction against Christianity, which is seen as a Western interloper. (Something similar is at work in Belarus, a nominally Orthodox Christian country that makes life difficult for non-Orthodox forms of Christianity.) The sources can also be political, such as in China, Vietnam, and North Korea, where Christian churches are seen as a threat to Communist party control of the state. China sanctions churches in the Protestant Three Self Patriotic Movement (which has Catholic and Islamic counterparts), but not house churches, while North Korea bans all overt religious activity. Whatever the sources of Christianophobia, the expression of it “seems to pass through three phases”: disinformation, discrimination, and persecution. Here, Shortt quotes Johann Candelin of the World Evangelical Fellowship: “Disinformation begins more often than not in the media. Through printed articles, radio, television, and other means, Christians are robbed of their good reputation and their right to answer accusations made against them.” That is followed by discrimination, which “relegates Christians to a second-class citizenship with poorer legal, social, political, and economic standing than the majority in the country.” Finally, there is persecution “from the state, the police or military, extreme organisations, mobs, paramilitary groups, or representatives of other religions” (174-175). Christianophobia is an excellent survey of the problem of persecution of Christians worldwide. It provides helpful historical background material alongside individual anecdotes. Its treatment of Muslim-majority countries is nuanced, noting that while theology plays a role in Christian persecution, it does not play the only role. Indeed, Shortt holds out hope that Muslim-majority countries will evolve toward greater religious freedom for religious minorities, just as Christian-majority countries have done. The one false note in this book is the chapter on Israel. Israel is not perfect, of course, but to include it in a book on Christianophobia is perverse, especially since Freedom House rates Israel as a religiously “free” country. (The inclusion of Venezuela, another “free” country, is also questionable, though it does not receive a chapter-length survey.) Indeed, it seems that Shortt’s real interest in Israel is theological. Of the 16 pages in his chapter on Israel, 5 are given over to a Christian theology of the land. Islam does not come in for a similar Christian theological critique. Whatever the merits or demerits of Shortt’s theological interpretation of Israel, this book is not the right venue to state them. 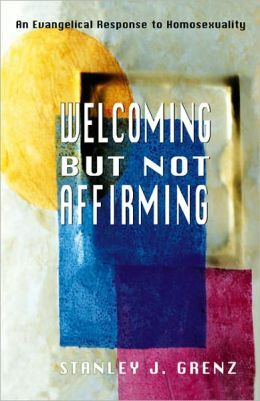 This reservation aside, Christianophobia is a valuable contribution to the literature on the global problem of Christian persecution. And timely. On Tuesday, May 21, 2013, Iranian security forces arrested Pastor Robert Asserian during a morning prayer service at Central Assembly of God in Tehran. He joins Pastor Farhad Sabokrooh, Sabokrooh’s wife Shahnaz Jayzan, and two church members of their Ahvaz Assemblies of God, Naser Zaman-Dezfuli and Davoud Alijani in jail. They had been arrested originally in December 2011, convicted of “converting to Christianity and propagating against the Islamic regime through evangelism,” sentenced to one year in jail each, and released early. They were rearrested to serve out the remaining time on the original conviction. Also, Pastor Saeed Abedini is serving a term of eight years in Tehran’s notorious Evin Prison for his leadership in Iran’s house-church movement. These six Christians put names and faces on the irrational fear and deep hatred—the Christiano-phobia—faced by millions of their brothers and sisters in faith around the globe. Were the Middle Ages Dark? Uh, No. Author georgepwoodPosted on May 28, 2013 Categories InterestingTags Antony Esolen, Dark Ages, Middle Ages, Prager UniversityLeave a comment on Were the Middle Ages Dark? Uh, No. 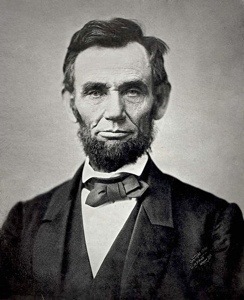 On this Memorial Day, which began as a commemoration of the Civil War, I am posting the most profound meditation on that war ever written, in hope that we always remember its lessons about war, partisanship, and the divine will. I mention this all this for two reasons: (1) to educate and (2) to reassure. Unlike today, when we have desktop printers and Xerox machines, in the ancient world, all books were copied out by hand. An ancient author’s original writing is usually referred to as the autograph (Greek for “self written.”) Copies of the autograph are referred to as manuscripts (Latin for “hand written”). The process of reproducing an author’s work by hand sometimes led to copy errors, such as misspelled words and misplaced sentences. Because we have so many manuscripts of the books of the New Testament, however, we can reliably reconstruct the autographs of the biblical writers. Indeed, the New Testament is by far the best-attested, most reliable document to emerge from the ancient world. That is, in and of itself, reassuring. Also reassuring is the fact that no biblical doctrine depends on any textual variant, a phrase that describes the differences between the manuscripts. This is especially true of the resurrection of Christ from the dead. Recently, I engaged in an informal online debate with a skeptic of the resurrection. He argued that Mark’s Gospel is the earliest and most reliable source of information about Christ. Because Mark 16.9–20 is not part of the autograph, however, he further argued that Mark’s Gospel knows nothing of Christ’s resurrection. Instead, he concluded, later New Testament writers ginned up the doctrine of the resurrection in order to advance some socio-political agenda. What is odd about Mark’s ending, in other words, is not that it knows nothing of Christ’s resurrection. No, what is odd is the women’s reaction: “trembling and bewildered” and “afraid.” But then again, how would you react in the presence of a Power which even death could not conquer? Mark 15.21–47 narrates the death and burial of Jesus Christ. It is a sparse, unsentimental narrative. The only theological comments are ironic. A sign placed on top of Jesus’ cross proclaimed, “The King of the Jews.” When Christ died, a Roman centurion exclaimed, “Surely this man was the Son of God!” A crucified king. A murdered deity. What little explicit theology Mark includes in his narrative undoes most of the theology we have learned. Martin Luther distinguished the “theology of glory” from the “theology of the cross.” The former emphasizes God’s greatness, power, and invincibility. The latter draws attention to God’s smallness, weakness, and vulnerability — characteristics on full display in the crucifixion of God’s beloved Son, especially the vulnerability. The word vulnerable literally means “able to be wounded.” Christ’s wounds were physical, of course, but his cry of dereliction indicates the wounding went much farther down. “My God, my God,” he cries out to the Father, “why have you forsaken me?” On the cross, Christ felt utterly alone, abandoned by his friends and forsaken by God. But the psalm does not end with despair, but with praise. but has listened to his cry for help…. and he rules over the nations…. In his suffering, Christ’s teaches us how to suffer too. With honesty pain, and with God-drenched hope. Christ’s death is unique, of course, in that we are saved by it. But following him also means imitating his pattern of suffering, not to mention experiencing his resurrection in our own lives.